Businesses and companies for sale and rent in Bulgaria. Mergers & Acquisitions in Bulgaria (M&A) Consulting Services Firm. BusinessForSale.BG was created as a site for companies and individuals with businesses and ideas for sale to connect with investors and entrepreneurs looking to acquire an operating business by merging, purchase or rental. 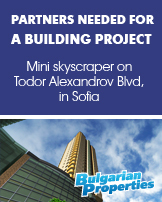 If you are interested in aquiring a working business in Bulgaria, this is the right place to find something suitable. We have offers from all over the country, covering all types of industry and commerce. 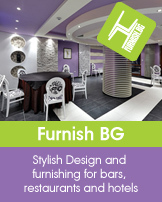 BusinessForSale.BG offers the best choice of businesses for sale or rent in Bulgaria. Coupled together with complete solutions and reliable advisory services by a reputable company, you won’t find better! Emberli Park Bar & Diner is the main, and only restaurant in the new elite holiday development Emberli situated in the seaside resort of Lozenets. The development was finished at the end of 2009, has 116 apartments and a complete range of integrated facilities. A fully equipped beauty center with a hairdresser’s salon located in the newly built holiday development, Emberli set in the resort of Lozenets, on the southern Black Sea coast, is now offered for sale, to rent or for joint operation and partnership. Emberli holiday development has 116 apartments and a complete range of integrated facilities. A property in Silistra with strategic location and potential for business development. New business building in Lovech! Operating agricultural company in Kavarna! Regulated plot of land, allowing for phased construction of residential complex, with all building permits available. A large industrial building in good condition suitable for the development of light industry. A regulated plot of land in a nice location with an option for the construction of a residential complex. The property is offered with two options for purchase. A large industrial area in the eastern part of the urban zone of the city of Rousse, with a total unfolded area of 13,584 sq.m and a total coverage of 29,160 sq.m The plot is located within the city of Rousse on the main road that connects Danube bridge to the city centre. Complex of three completed, detached family houses with three separate maisonettes, that could be transformed into apartments, offices or a small holiday complex for short and long-term letting. Nicely arranged and fully equipped restaurant with a summer garden and barbeque zone, famous for its tasty cuisine and modern kitchen, made according to the latest requirements. In addition there are several semi-furnished guest rooms and studios. 1-bedroom apartment for sale in Kardjali. House for sale in Pyrgadikia. Business for sale near Haskovo. Development land for sale in Plovdiv. 2-bedroom apartment for sale in Plovdiv. Restaurant, Bar for sale in Varna. 1-bedroom apartment for sale in Sofia. 1-bedroom apartment for sale in Ravda. 2-bedroom apartment for sale in Sofia. Studio for sale in Borovets. 2-bedroom apartment for rent in Sofia. 1-bedroom apartment for sale in Varna. © 2009 - 2019 BusinessForSale.BG™ Mergers & Acquisitions (M&A) Consulting Services of Suprimmo JSC. BusinessForSale.BG™ is a registered trademark and a part of Stonehard Holdings group of companies Stonehard Holdings.